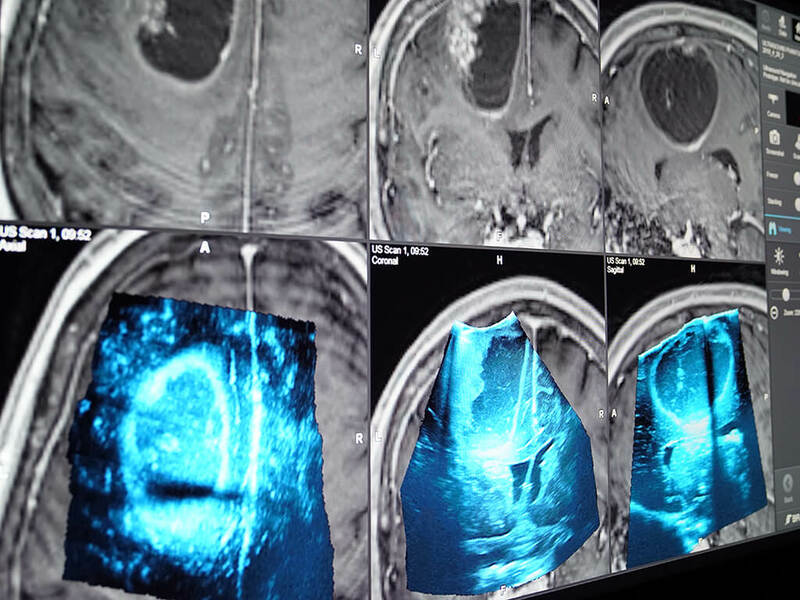 With Brainlab Ultrasound Navigation, intraoperative imaging is within reach for every neurosurgery department. Ultrasound Navigation is a real-time intraoperative imaging solution that complements cranial image guided surgery systems. With a small footprint, it’s suitable for almost every neurosurgical O.R. Live ultrasound images overlaid onto preoperative patient data allow for visualization and assessment of brain shift. 3D scanning of the cavity helps identify residual tumor and maximize the extent of resection. To ensure accuracy, neurosurgeons should ideally work with the most up-to-date anatomical images during surgery. With Ultrasound Navigation, real-time ultrasound images can be overlaid in 2D or 3D onto preoperative 3D patient images to perpetually provide accurate orientation as well as resection progress compared to historical data. Brain shift can cause discrepancies between navigated preoperative MR or CT data and actual patient anatomy, especially after dura opening and particularly during tumor resection. 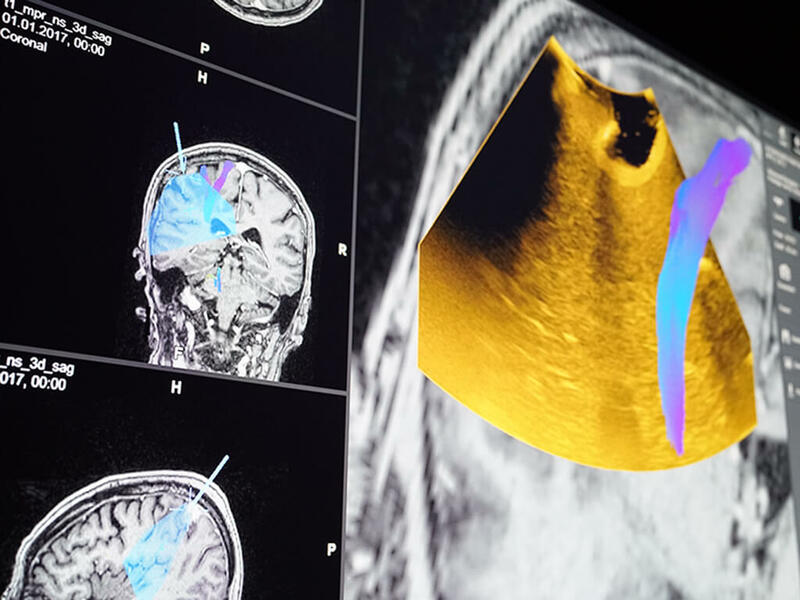 Intraoperative images acquired with Ultrasound Navigation software allow for the instant identification and assessment of brain shift, enabling the surgeon to compensate for it. Repeated 3D ultrasound scans throughout the procedure ensure continuous monitoring of resection progress. Direct navigation on these updated images additionally allows for verification of the actual extent of resection (EOR) with the planned EOR. In addition to being a low-cost, high-accuracy mode of intraoperative imaging, Ultrasound Navigation presents minimal interruption of the surgical workflow compared to other imaging modalities. 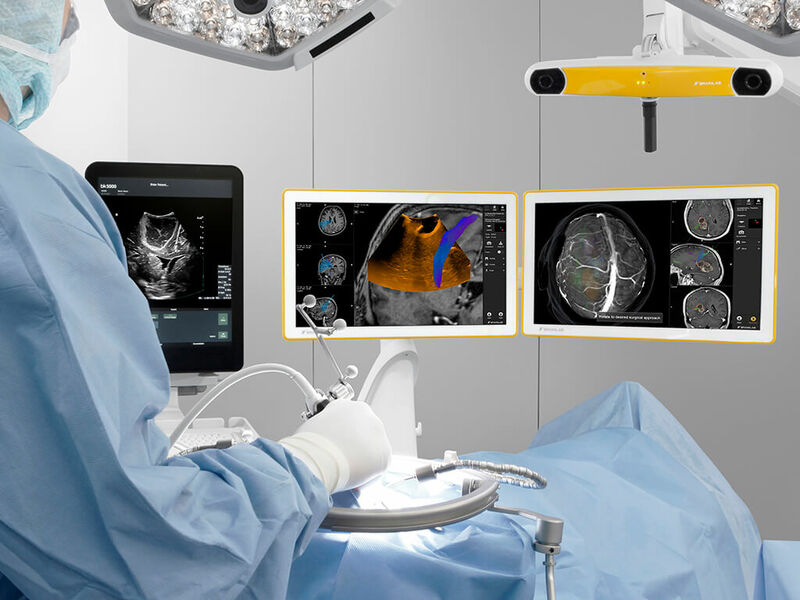 The software facilitates scanning and reconstruction of 3D ultrasound data faster than intraoperative MR and intraoperative CT.
Ultrasound Navigation software is based on a digital connection rather than conventional analog transmission, which often results in loss of image quality. Digital integration allows for instant transmission of additional, valuable information, such as the probe’s scan depth and image settings, without the need to calibrate separately. Brainlab offers navigation of both 2D and 3D ultrasound data at an unprecedented level of image quality. Superimposition of live 2D ultrasound images onto preoperative patient data allows for direct comparison with intraoperative status. After performing an ultrasound scan, a volumetric dataset is available for 3D navigation in axial, coronal, sagittal or any other reconstructed view. 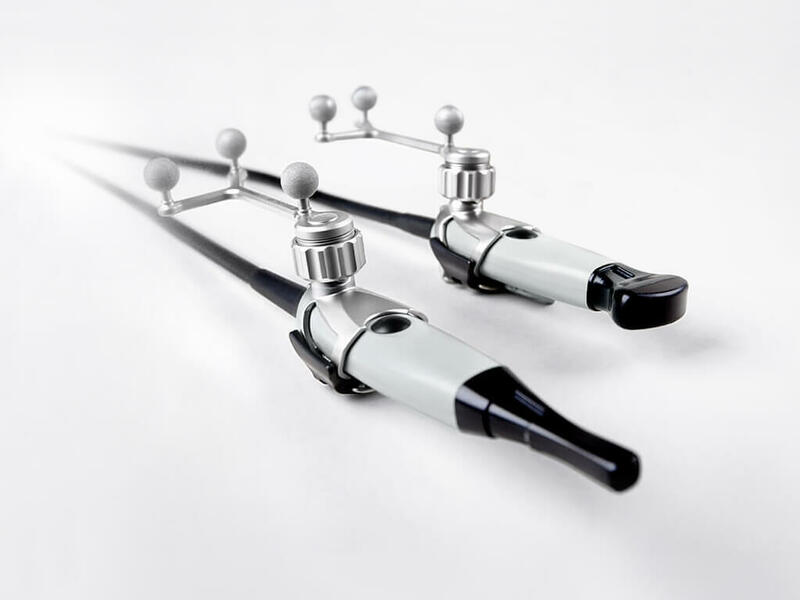 For even more streamlined “plug-and-play” workflows, BK Ultrasound neurosurgery transducers are sterilizable and pre-calibrated for navigation, eliminating inconvenient user calibration in the sterile field. Brainlab Ultrasound Navigation provides automatic view layouts optimized for ultrasound interpretation. These views make ultrasound data more comprehensible regardless of the level of experience with this imaging modality. Want to learn more about or request a demo of Ultrasound Navigation? Contact Us.